ABC for Health met “Ashley” after her most recent visit to Children’s Hospital. As a complete surprise to Ashley, a heart surgery left her with a $200,000 bill. Ashley believed she had BadgerCare Plus Core Plan benefits to cover surgery expenses. Unfortunately, the state informed Ashley that her coverage terminated a month prior to the operation and that she was responsible for the medical expenses. Program administrators claimed that Ashley had filled out her BadgerCare Plus Core Plan renewal form incorrectly, stopping her coverage. Ashley maintained that she successfully renewed coverage and that the state failed to provide timely notice that her coverage terminated. ABC for Health attorneys represented Ashley during a Medicaid fair hearing, and pointed out the vague notices sent to Ashley left her with no reason to know that her coverage ended. Due to ABC for Health legal services Ashley secured a fair hearing and an Administrative law Judge heard the matter. In the end, the hearing officer awarded a favorable decision for Ashley, relieving her of a large financial burden. “Amy” is a Spanish speaking resident of Wisconsin whose mother reached out to ABC for Health. Amy’s mom was concerned about insurance coverage for her family, especially since Amy was hospitalized with a new cancer diagnosis. Amy suffered from a brain hemorrhage and visual impairment related to the progression of her brain cancer. Amy’s mother made the decision to take unpaid leave in order to provide full-time care for her daughter, but this meant that the family would lose their employer-based insurance. ABC for Health helped Amy’s mother apply for disability coverage (SSI), as well as BadgerCare Plus, but was informed that the family was ineligible because they owned three cars that placed them over the assets limit. After selling one of the cars and using the cash to purchase a refrigerator, Amy and her family were no longer ineligible based on finances. ABC for Health successfully connected Amy and her family with BadgerCare Plus coverage, as well as SSI, which provided the financial support the family needed in order for Amy’s mother to be able to stay at home and provide care to her daughter. A social worker referred “Sarah” to ABC for Health due to multiple denials of disability coverage and benefits for her daughter “Alex”. A disability review concluded that Alex was “too healthy” despite a diagnosis of cystic fibrosis, gastroparesis, and spastic abdominal muscles that require special care and accommodations. Sarah was in the middle of the appeals process when she contacted ABC for Health. ABC for Health helped Sarah communicate with the Social Security Administration office about her daughter’s disability denial. With the assistance of ABC for Health, Sarah successfully challenged Alex’s disability denial. The grateful family secured the much needed insurance coverage to help pay for the expensive medical equipment that Alex depends on to live to the fullest of her abilities. “Korey” found ABC for Health after her health insurance provider denied occupational and physical therapy services for her son. ABC for Health was able to help Korey untangle some communication issues and misunderstandings with her insurance provider. ABC for Health helped Korey cut through the red tape and secured approval for future therapy services for her son. ABC for Health is also helping Korey to re-bill any previous therapy services in order to get those bills paid. “Mark” found ABC for Health’s services on the internet and sought out advice on transferring insurance coverage for his son with special health care needs when they move to California. ABC for Health helped Mark transition benefits for his son and explained the process and procedures he would use in order to help his son maintain Medicaid coverage. ABC for Health also provided Mark with referrals to resources in his new state that helped his family on the other end of the move. Mark was very thankful for the knowledge that ABC provided him that helped him facilitate a smooth transition into another state’s healthcare system. “Kim” contacted ABC for Health through an online request for assistance form. Kim and her husband had insurance through her husband’s employer, but the employer decided to eliminate the company’s insurance plan in order to cut expenses. Unfortunately, Kim and her husband already met their employer based health plan deductable of $5,000 and did not want to start over with a new plan and a new $5,000 deductible. Kim came to ABC for Health seeking information regarding finding new coverage options for 2014. Kim misunderstood many aspects of the Affordable Care Act changes and Wisconsin-specific health reform. ABC for Health attorneys helped Kim understand health reform changes including valuable information on the elimination of pre-existing condition exclusions from health plans. 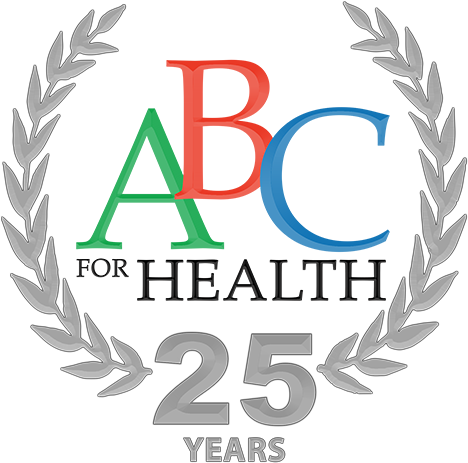 With the guidance of ABC for Health, Kim is evaluating coverage, such as the Health Insurance Risk Sharing Plan, and will consider enrolling in the new Insurance Marketplace when it opens enrollment in October. Kim’s case is a good example of the type of questions regarding health reform that ABC for Health will continue to take on as it attempts to assist Wisconsin citizens in their transition into the Affordable Care Act. To help us create more success stories like these, please make a tax-deductible donation to ABC for Health. ABC removes the financial and emotional burden associated with health care services so families can focus on the medical needs of their loved ones. When ABC met "Kathy," her husband had just died unexpectedly and she had recently received a diagnosis of advanced-stage cancer. With the loss of her husband came loss of income and health insurance. ABC assumed the bureaucratic burden associated with applying for and securing disability insurance to cover Kathy’s advancing medical condition. ABC also took time to obtain coverage for her young son. ABC’s direct legal services were efficient and effective in meeting the extraordinary needs of this family. ABC met "Kristy" and her husband at St. Mary’s Hospital shortly after the young couple found out they were expecting their first baby. Kristy had comprehensive health insurance through her mother’s employer. When she was close to her due date, however, her mother changed jobs and with it, her family’s health insurance. ABC helped resolve Kristy’s health care coverage situation and ensured she could receive good prenatal care. A routine ultrasound revealed their baby would have special health care needs. ABC immediately took steps to identify health care coverage options for the baby to pre-empt any medical bills. Within 48 hours of being born, the baby was admitted to all three hospitals in Madison due to the serious nature of his condition. ABC’s staff attorney successfully challenged the multiple insurance denials that came shortly thereafter. The baby’s father thanked ABC’s staff attorney, stating "she was like an angel sent for us. She made it so we could worry about our son and not a hundred questions from the billing departments." The baby, now 7 months old, is recovering quickly and doing very well. ABC’s interventions saved the family a total of $480,000. ABC met with a family in the neo-natal intensive care unit shortly after the birth of their son. At 1134 grams (2.5 lbs), the baby would need to remain in the hospital for an extensive, expensive stay. ABC helped enroll the baby in the private insurance coverage the mother had through her employer and, because of the baby’s low birth weight, in Medicaid benefits for supplemental coverage. When the healthy baby left the hospital 49 days later, the family left debt-free. ABC was contacted by a couple who had hit tough times. The husband was hurt and couldn’t work, and the wife had recently lost the job she had held for over 25 years. Both were experiencing significant health problems. It had been years since either had health insurance. ABC met with the couple, assessed disability and medical needs, and assisted the couple in navigating the new BadgerCare Plus Core Plan application process. Lengthy delays and inappropriate denials would have caused this couple to give up on the process, but ABC took that burden from the family and cut through the legal red tape. In the end, the couple received the benefits and care they were due, received appropriate reimbursements for their medical expenses, regulated their daily medications, and got back on their feet. ABC helped the husband get into a workforce training program and the wife now has a job with insurance. Due to such a positive turn of events, she was able to relinquish her Core Plan, giving a spot to one of the 30,000 individuals then on the program’s waiting list. A new father contacted ABC after his wife gave birth to a new baby. The father was a Spanish-speaker whose job as an auto-mechanic did not offer health insurance benefits. The family was struggling to make ends meet. ABC’s bilingual health benefits counselor helped the family apply for the Healthy Start Medicaid program and followed up to ensure the family had sufficient coverage. Healthy Start covered the mother’s medical care and the cost of the birth and will extend to cover care for the baby.